The swiss army knife for everything that is related to audio files. AudioGrail 7.9.0 was available as a giveaway on January 28, 2017! AudioGrail (Formerly K-MP3) is the best solution to work with audiofiles, such as MP3, OGG, MPC etc. Rename and tag your files (add artist name, album, title etc.) automatically. The program can organize files on your system, analyse their quality, find duplicates and improve your audio experience. How would you improve AudioGrail 7.9.0? be able to work with WMA files. edit sound in mov, mp4, etc. You have some Duplicate Files on your computer which hampers your memory space. Just use "DuplicateFilesDeleter".If you use this software you will be get comfortable. I actually like much of KC Software's offerings, but AudioGrail just has never held a candle to the freeware Mp3Tag. With all due respect, a "meh" group of utilities--individual sources from elsewhere seems preferable. And the album art fetcher process, the reason I wanted this software, is not an automatic process. Perhaps fine to have around and sometimes use, as a secondary source. I downloaded and installed the program without any problems. It did leave me with 3 links which I checked out and deleted as they were of no concern. The program does as it claims and I have no errors as of yet so I am OK with it. It is a good program and given a proper chance it will perform as expected. If not I will uninstall, but only after I check it fully. We should be a little more grateful for GOTD and show some respect for their hard work. Stop being so disrespectful to them and their patrons. No one is perfect and I expect a few drawbacks. I am a retired software teacher and installer since 1985 so I do have a little knowledge of the computer. We have a good thing here so lighten up. Thank you GOTD and all of your participants. I downloaded and installed the program without any problems. It did leave me with 3 links which I checked out and deleted as they were of no concern. The program does as it claims and I have no errors as of yet so I am OK with it. It is a good program and given a proper chance it will perform as expected. If not I will uninstall, but only after I check it fully. We should be a little more grateful for GOTD and show some respect for their hard work. Stop being so disrespectful to them and their patrons. No one is perfect and I expect a few drawbacks. I am a retired software teacher and installer since 1985 so I do have a little knowledge of the computer. We have a good thing here so lighten up. Thank you GOTD and all of your participants. I tried this mainly for its claimed ability to add album covers. "•Automatic Album renaming, Song identification, Album covers finding and Tagging" After using for an hour there appears no way to find and add album covers. So fo me it's just another organizer. It would be nice to read a comment on the effectiveness of the software, if one decided to install it after all the paranoia. How does it work for the purpose intended? IS it a good tool for working with audio files? The developer has the audacity to put web links on your desktop without your permission. 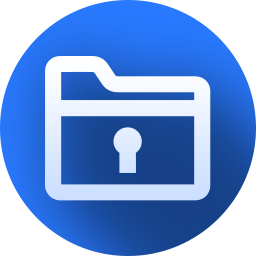 Sumo is hardwired into the EXE file so if you delete the icon it will reappear again. Because of this disgraceful behaviour I uninstall the program and will have nothing to do with this company programs in the future. The developer has the audacity to put web links on your desktop without your permission. Sumo is hardwired into the EXE file so if you delete the icon it will reappear again. Because of this disgraceful behaviour I uninstall the program and will have nothing to do with this company programs in the future. XP-Man, Re "Sumo is hardwired into the EXE file so if you delete the icon it will reappear again." I could delete the Sumo-link on the desktop of my virtual XP, never to be seen again. So it is not hard-wired. Re "The developer has the audacity to put web links on your desktop without your permission." Re "Because of this disgraceful behaviour I uninstall the program and will have nothing to do with this company programs in the future." This programme hase been offered before. Did you object then also? XP-Man, Re "Sumo is hardwired into the EXE file so if you delete the icon it will reappear again." I could delete the Sumo-link on the desktop of my virtual XP, never to be seen again. So it is not hard-wired. Re "The developer has the audacity to put web links on your desktop without your permission." Ashampoo does the same. Re "Because of this disgraceful behaviour I uninstall the program and will have nothing to do with this company programs in the future." This programme hase been offered before. Did you object then also? Very clever! 'audacity' better alternative. XP-Man, Very clever! 'audacity' better alternative. MP3 Tag Express blows this out of the water in terms of what it can do, but unfortunately it doesn't have the auto-lookup tags for files themselves, just audio discs. It also costs money. George Taylor, Hey great and well written review of THIS product.... NOT! Does anyone know if this will batch normalize the volumes? Will someone please talk about the merits of diadvantages of the software and stop attacking each other. Mavadelo, do you work for KCSoftwares who just pretend to be an innocent user? Berry1 are you are a troll? I will think yes! Please stay away from this site!!! nibo1978, way to be mature. NOT!!!! Be careful......associated CRAP without consent during installation !!! Mavadelo, I looked into their software with HEX editor, they have hard wired links to other web sites that can not be dragged into the trash folder. Legitimate concern still remains after the deletion of the 3 icons. jan, it install no crap this are only weblinks to their other products. Must software developer install weblinks to their other products! Mavadelo, Thank you. This is what this site is SUPPOSED to be about. I feel very confident in looking into this software now. I wish others would put in a little effort to actually test and review software so the rest of us can read and make an informed decision. nibo1978, In many peoples perception the installation of unsolicited shortcuts unrelated to the operation of the chosen installed product is "crap". It is the same as unsolicited marketing emails. Desktop realestate is at a premium and the best installers provide an install time option to opt out of any desktop icons at all. To abuse the end users desktop for unsolicited marketing is unacceptable in my and obviously others opinion. Add to the fact that this is not what it claims to be, it is not:"The swiss army knife for everything that is related to audio files." It's only a tag maintanance tool. And does nothing with the audio file data itself, no recording, editing, spectral correction, vocal removal, volume normalization... nada just tag meta-data manipulation. nibo1978, In many peoples perception the installation of unsolicited shortcuts unrelated to the operation of the chosen installed product is "crap". It is the same as unsolicited marketing emails. Desktop realestate is at a premium and the best installers provide an install time option to opt out of any desktop icons at all. To abuse the end users desktop for unsolicited marketing is unacceptable in my and obviously others opinion. Add to the fact that this is not what it claims to be, it is not:"The swiss army knife for everything that is related to audio files." It's only a tag maintanance tool. And does nothing with the audio file data itself, no recording, editing, spectral correction, vocal removal, volume normalization... nada just tag meta-data manipulation. With all due respect, Ian and Richard, I don't see what you're talking about. 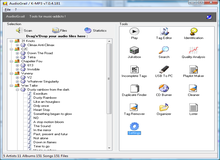 AudioGrail offers you a collection of 15 audio utilities to help you organize, store, and distribute your MP3 files and other compressed-audio formats, both lossy and lossless – OGG, MPC, APE, AAC, FLAC and WavPack. AudioGrail renames, tags, normalize names, creates playlists and even burn your audio CDs in an intuitive and simple way. So there are no extra programs you didn't ask for from what I can see. With all due respect, Ian and Richard, I don't see what you're talking about. I installed it on a Windows 8.1 system, and I got one piece of software. I read the terms and conditions carefully to be sure I didn't need to "opt out" of installing anything. The user interface does show about 16 different options on the right-hand side, but that is shown in the screenshots and also in the description at Software.Informer (if you visit their website to do a little extra research before installing): <i>AudioGrail offers you a collection of 15 audio utilities to help you organize, store, and distribute your MP3 files and other compressed-audio formats, both lossy and lossless – OGG, MPC, APE, AAC, FLAC and WavPack. 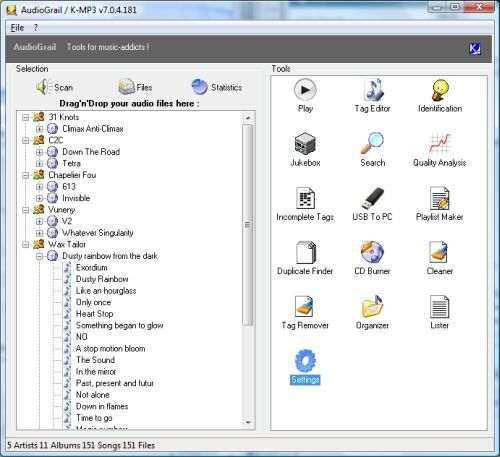 AudioGrail renames, tags, normalize names, creates playlists and even burn your audio CDs in an intuitive and simple way.</i> So there are no extra programs you didn't ask for from what I can see. It installed and registered no problem on a Windows 64bit Pro installation. Anyway, I've tried a few of its options, and tried to import a few hundred tunes off my memory stick. It got 99% of them but did state that it had an error. If you can find a use for one of the modules go for it, but then ones I've tried have failed due to errors. I personally use MediaMonkey Gold for all my music organisation, tagging, and cover art needs. Thanks for the offer, but I'm going to uninstall and carry on with what I know. All KC Softwares giveaways on GOTD are full of crapware because GOTD don't point you to the Lite installer which contains no junk. Works with the license in the readme. All KC Softwares giveaways on GOTD are full of crapware because GOTD don't point you to the Lite installer which contains no junk. 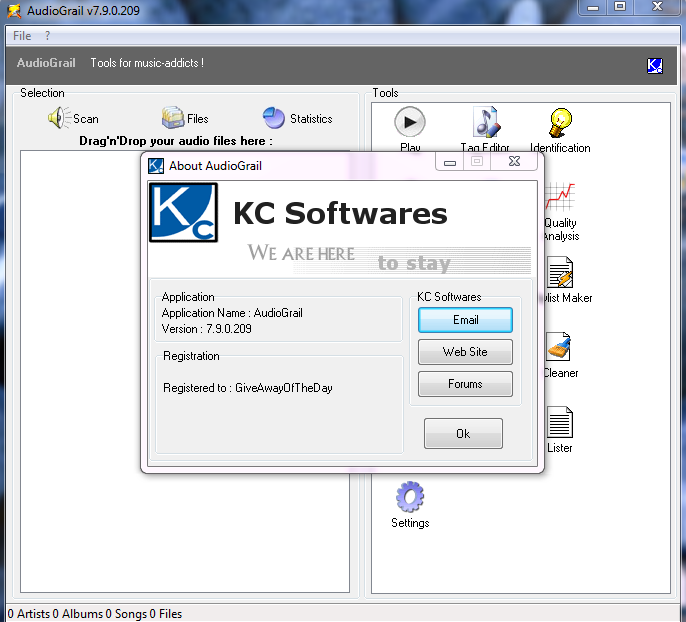 http://www.kcsoftwares.com/files/audiograil_lite.exe Works with the license in the readme. Jeff Dalls, but the lite version has a limit on the number of files, right? No ,with KC Software "lite" means no sponsorware Relevant Knowledge. Point of fact here no KC Software giveaway distributed by giveawayoftheday.com have ever been the RK embeded installers but always where RK is normally bundled in the standard free version on KC Software site, GAOTD distribute the lite version installer without the RK. There is NO FUNCTIONAL DIFFERENCE between the lite and the one they prefer you to install with the RK sponsor embeded. In the past there has usually been little or no functional difference between KC software paid and free versions apart from an auto-update feature in most cases and an unsubstantiated "Enhanced performances" claim. Over the past year or so KC Software have been developing his DRM system to check license authenticity on a regular basis. 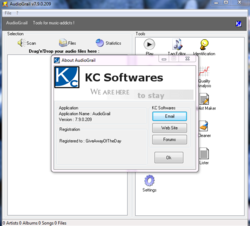 With this program the Free version has been restricted to working on just 30 files and if you apply the license code in the readme.txt it should remove that restriction even with the so called "lite" installer from KC software download page. Mike S., No ,with KC Software "lite" means no sponsorware Relevant Knowledge. Point of fact here no KC Software giveaway distributed by giveawayoftheday.com have ever been the RK embeded installers but always where RK is normally bundled in the standard free version on KC Software site, GAOTD distribute the lite version installer without the RK. There is NO FUNCTIONAL DIFFERENCE between the lite and the one they prefer you to install with the RK sponsor embeded. In the past there has usually been little or no functional difference between KC software paid and free versions apart from an auto-update feature in most cases and an unsubstantiated "Enhanced performances" claim. Over the past year or so KC Software have been developing his DRM system to check license authenticity on a regular basis. With this program the Free version has been restricted to working on just 30 files and if you apply the license code in the readme.txt it should remove that restriction even with the so called "lite" installer from KC software download page. Thanks, Ian. Sorry AudioGrail but my improvement recommendation would be to offer a "CLEAN" install if you want your software tested. I have yet to find an app that "automatically" tags and downloads album art, even though many claim to. Like all the others, you have to click through a process. "Semi Automatic" at best. Unfortunately, this app fails to download album art, and returns "Errur Jpeg 42". WTF this downloaded other crap on to my PC without any prior warning and more importantly without my permission. Totally unacceptable. GOTD's quality and standards have slipped very badly over the past months but for me this was the last straw. I'm never going to use this site again and will block it from being accessed on all my PC's there are much better and more reliable sites that I will continue to use in the future. GOTD you really need to pick up your game if you want to remain in business, the way you are going hopefully we'll read of your demise before very long. GOTD_nomore, this are only weblinks to other products from KCSoftwares. Other developer do the same. Is there a way to remove the JUNK UNINVITED software that automatically installs itself without authorization? Richard, did you happen to notice what the junk was called? Julia, Dumo, Sumo and Kcleaner and they are just weblinks. nothing got installed without authorization, people just fail to look. they see 3 icons and ASSUME something without checking it. Links were installed without authorisation! This is totally unacceptable behaviour by a developer, Sumo is hardwired in the EXE. Removed the link from my desktop only for it to reappear again. Mavadelo, Links were installed without authorisation! This is totally unacceptable behaviour by a developer, Sumo is hardwired in the EXE. Removed the link from my desktop only for it to reappear again. Uninstalling program. XP-Man, Hi xp-man, if you are the "real xp-man" (i can't check obviously) I give you some more credit than the "average visitor" knowing your posts in the past. I have restarted both the program and my system several times to try and reproduce your experience but wasn't able to. After initial deletion of the icons it stayed away. Mavadelo, Yep, I checked if it was installed as seperate programs, found none, so assumed it was an integral part of the main program. Thanks to you and all those that replied. Rae Perez, Thanks for replying, and it appears not to be installations, but merely Web Page Icons. Going to check the registry to see if there's anything hiding! I can assure you that I am the original XP-Man; took time out as at 74 my body dictated my circumstances. I cleared the icon from my desktop but on restarting it reappeared. Search within the programs download folder for Sumo and there it was in the EXE file. To be honest my desktop is a mess but I have it under control as long as unnecessary icons don't just appear. In my opinion developers should request permission when installing anything other than the program anticipated, today's developer failed miserably. Mavadelo, I can assure you that I am the original XP-Man; took time out as at 74 my body dictated my circumstances. I cleared the icon from my desktop but on restarting it reappeared. Search within the programs download folder for Sumo and there it was in the EXE file. To be honest my desktop is a mess but I have it under control as long as unnecessary icons don't just appear. In my opinion developers should request permission when installing anything other than the program anticipated, today's developer failed miserably. question if you install a software that is free on that day and you need to wipe windows and start again sometime and want to reinstall a software you give us some time past will the key still work? Stephen, it's not meant to but sometimes the software author do not have a mechanisim to enforce it.